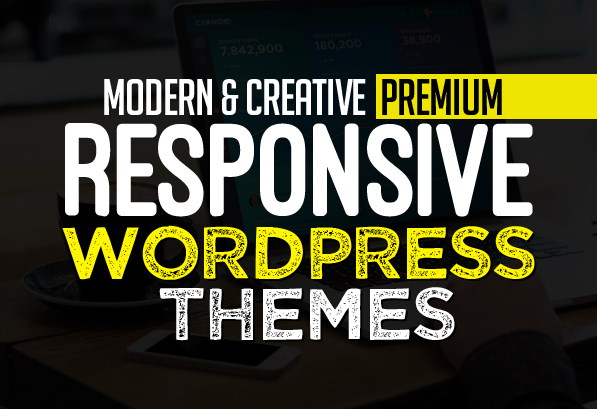 List of modern and creative premium Responsive WordPress Themes. All theme are coded with HTML5 / CSS3 with clean code and beautiful style. WordPress themes are suitable for Personal Portfolio, Creative Agency, Designer Portfolio, Illustrator Portfolio, Photographer Portfolio and more. The modern design and strong typography makes Best WordPress Themes for any business website. Responsive feature allows web layout change from normal to mobile version automatically. Themes can be used for any personal or business needs to easy create and launch your WordPress based website, blog or magazine in 2 minutes. Monstroid is powered by the latest Cherry Framework 4 that ensures easy and worry-free installation and customization. With over 30 inbuilt premium extensions, you can get any kind of functionality required for a specific project. Thanks to the brand new backup options, you can restore the theme any time you need. Devoll is a creative responsive WordPress theme for many purposes, it could be used as company, design studio, business or portfolio websites. Berg – is clean Multipurpose Theme and retina ready. You can use it for Creative, Sport and Fitness, Construction, Asian Food, Italian Pizza, Hotel, Cafe, Restaurant, Furniture, Yoga, Spa, Music, Photo Studio, Corporate etc. Clear Shop – Wonderful Responsive WooCommerce Theme is suitable for fashion and other web shop. We have included multiple layouts for home page, blog page to give you best selections in customization. MagZilla is a responsive, flexible and modern WordPress Theme suitable for Newspapers, Magazines or Blogs. It was created to showcase your content in a clean, minimal, and fashionable space. With UnPress you can choose from unlimited colors, unlimited pages templates and many other options. Capel Multi-Purpose BuddyPress WordPress Theme. Capel is a powerful, professional and fully responsive BuddyPress/bbPress theme. It adapts to any screen size from a large computer all the way down to a mobile device. Trimmer is a WordPress ecommerce Theme in clean and bold Design. It is a website for Barbers & Hairdressers with everything such a business needs. Prices, style galleries, beautiful Slideshow, elegant store and much more. The theme is available with our one click demo importer. Inkas is a MUST for people who likes the clean, cool and design for their sites. Your followers will have a relaxing reading experience, thanks to the both clean and well detailed design, the study of spaces and the typography structure. Limo King is a responsive WordPress theme for Limousine, Limo service, Car hire company, Bus, Coach, Taxi, Airport transfer service.. This theme comes with well designed limo fleet layout, fleet rates table and beautiful booking form. It allows customer to book online and the form will send email to admin(limousine provider). This theme is one of the smoothest among of all WordPress themes. It comes with beautiful built-in layouts offering you a better hand at creating websites. This theme is fully responsive, very flexible and needs no coding.